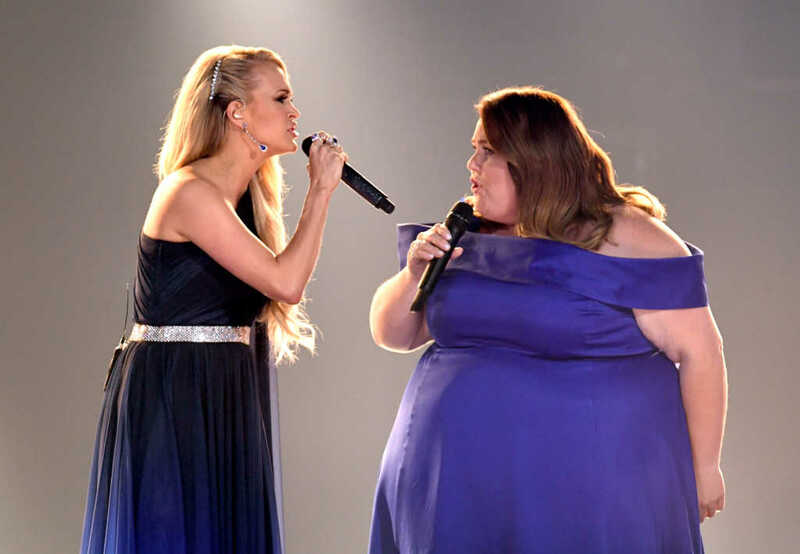 “Breakthrough” star Chrissy Metz made her live television singing debut Sunday evening with none other than country megastar, Carrie Underwood. Metz belted out her original song, “I’m Standing with You” at this year’s Annual Country Music Awards. “When your faith is running low, I never lose faith in you. “Breakthrough” is based on mother Joyce Smith’s book that recounts her son John’s miraculous survival from a dramatic fall through into an icy lake. The 2017 memoir, “The Impossible: The Miraculous Story of a Mother’s Faith and Her Child’s,” talks of the power of prayer which revived John’s body and literally raised him from the grave. “Breakthrough,” which was executively produced by NBA star Stephen Curry, is set for release April 11. “We wanted to do it the right way,” Curry said of his involvement with “Breakthrough,” noting that Chrissy Metz’s character — a stoic “mom of faith” — kept him turning the pages of the script, which he said he powered through “in one sitting” after receiving it in the mail from producer DeVon Franklin. “She wasn’t taking no for an answer because of her belief in God, knowing he can do miracles,” Curry said of Joyce Smith, who was convinced that the Lord could heal her son despite his traumatic accident. The basketball star noted that Smith’s unshakeable faith in the Lord, reminded him of his own mother. Speaking of his Christian upbringing, Curry said that he would often recall his mom praying over him while he slept.